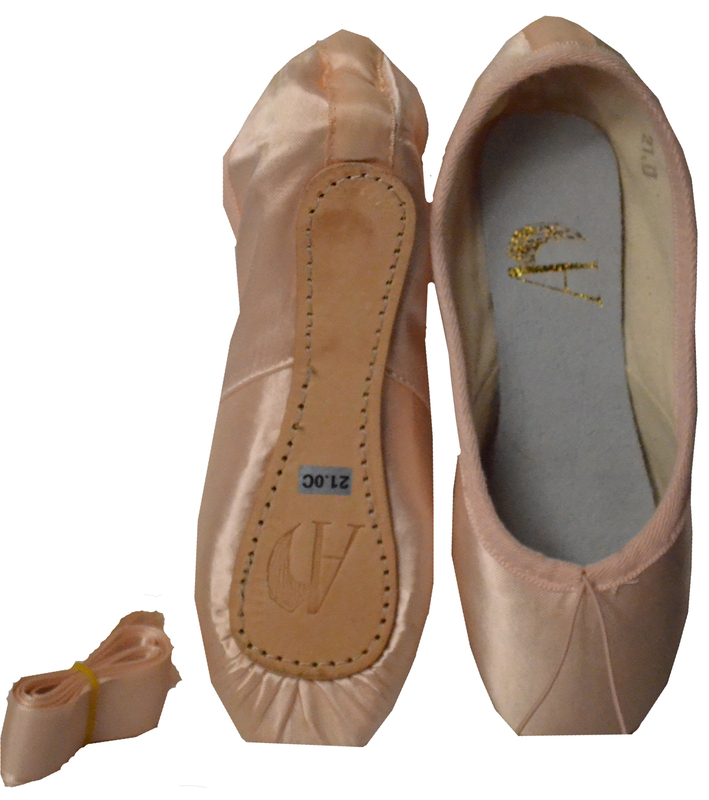 Russian-made pointe shoes are considered to be some of the best-quality shoes on the market. 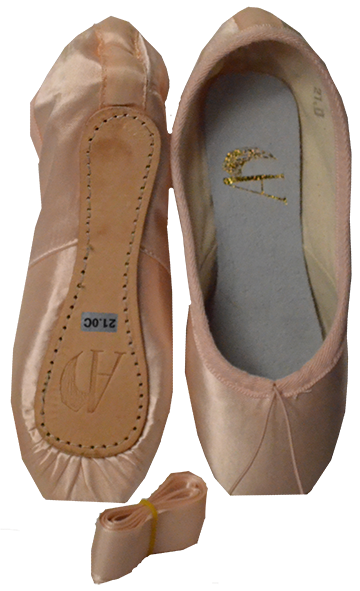 Their rich theatrical history and remarkable high-standards of excellence in ballet training make their country one of the masters of pointe shoe construction. 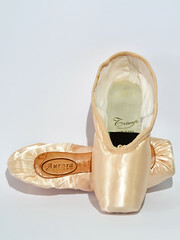 Finding another potential source for beautiful Russian construction techniques was the first thing on my mind when I discovered a Russian pointe shoe supplier by the name of Angel Dance. With a little luck and a lot of Google Translate, I can decipher that Angel Dance offers discounted apparel and shoes for different types of dance genres for both individuals and groups. I wasn’t able to locate any history on the founding of the business or who owns it. Angel Dance offers two models on their website; Model H and Model MH. Of course my romantic ballet heart would have preferred gorgeous Russian names instead of letters. Don’t you hate factory jargon initials instead of ballerina-esque names that make you want to whirl and twirl in your pink tights? Exactly the same specs as the Model H, but comes with a medium-hard shank. 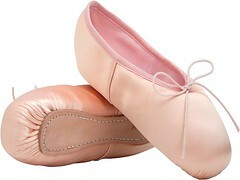 No response email from Angel Dance when I asked them directly by email if the shoes are made in Russia. I also asked for any information they could share about their specifications. Nothing. Zilch. “Angel Dance” , their contact email addresses and the corresponding model names are in English, yet the company website is completely in Russian. 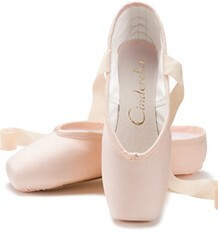 The company mentions being a discounter of dance products. Put that together with the bulky-stiff sole design and off-edge stitching shown above and one thing comes to my mind; a potential made in China alert. If I am wrong, Angel Dance, please forgive me. I only care because I group brands into country categories for my readers. If you want to offer a low-cost alternative for Russian dance students, bless your heart. If you want to see these models, visit their official website @Angeldance.pro. You can find them by clicking on the 4th category down on the left sidebar, Балетная обувь. 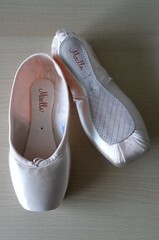 ( Ballet shoes in English). 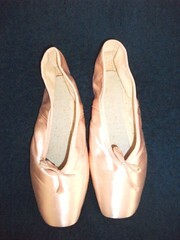 This entry was posted in Mystery Pointe Shoe Brands and tagged Angel Dance of Russia, Angel Dance pointe shoes. Bookmark the permalink. 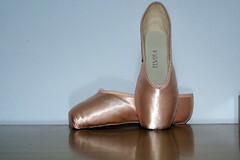 the shoes look very nice, the shape is very Russian isnt it and the name Angel Pointe Shoes is very endearing. They look very cheap looking and look like they were made in China I think personally! Especially that sole… Gross. 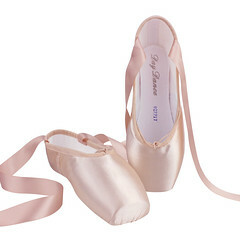 They remind me of Danskin pointe shoes abit. Can’t get to the website of angeldance.pro… the links seems broken. I tried the link here and on the sidebar and both are working now.